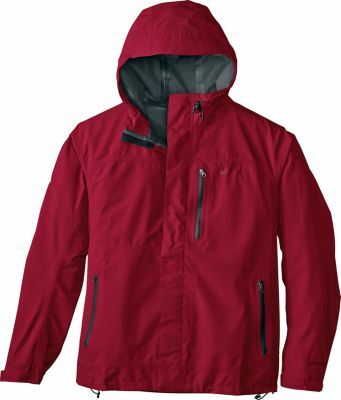 Stay dry and keep moving in the updated men's Patagonia Stretch Rainshadow jacket. Its improved fabric offers lightweight, packable protection for full range of motion in a full range of conditions. 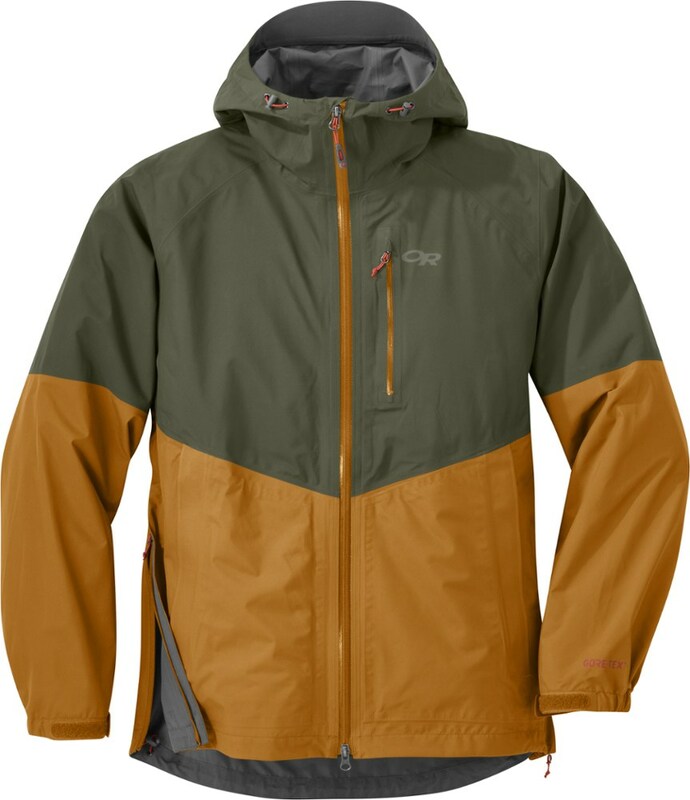 Any forest can become a rain forest quickly, and when you're out on the trail you don't need a bulky or restrictive shell to get the protection you need in wet weather, at least not with the Patagonia Stretch Rainshadow Jacket. 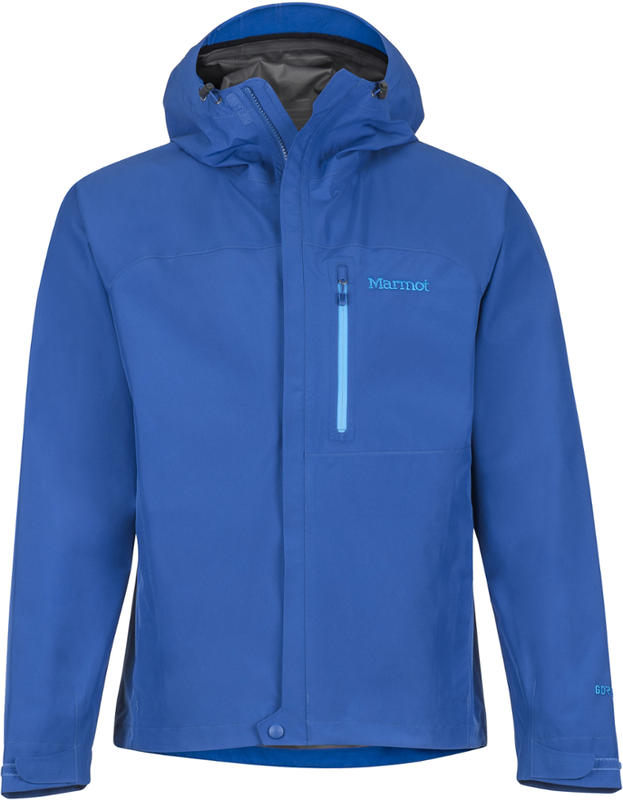 This versatile shell provides fully waterproof protection when you get caught out in the downpour, but it does so in a stretchy and lightweight package that'll let you walk, hike, and scramble freely with both comfort and protection. The H2No membrane delivers waterproof and breathable protection when the skies open up, and the underarm vents ensure that you won't get too stuffy as you move up steep trails and through growing puddles. A quick one-pull adjustment hood offers snug coverage against the storm, and even fits over an alpine helmet for use on high-altitude mountaineering trips. 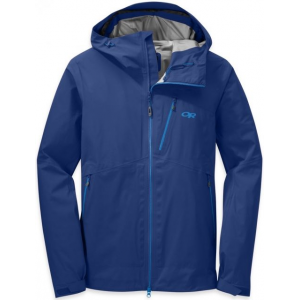 When blue skies return, the entire jacket can fold into its chest pocket and easily hide away thanks to its carabiner loop and super-compact size. Plus, it's got a new 100% recycled nylon construction that'll let you feel good about your purchase as you enjoy the great outdoors. When you're out there and we mean way out there, don't settle for sub par gear. 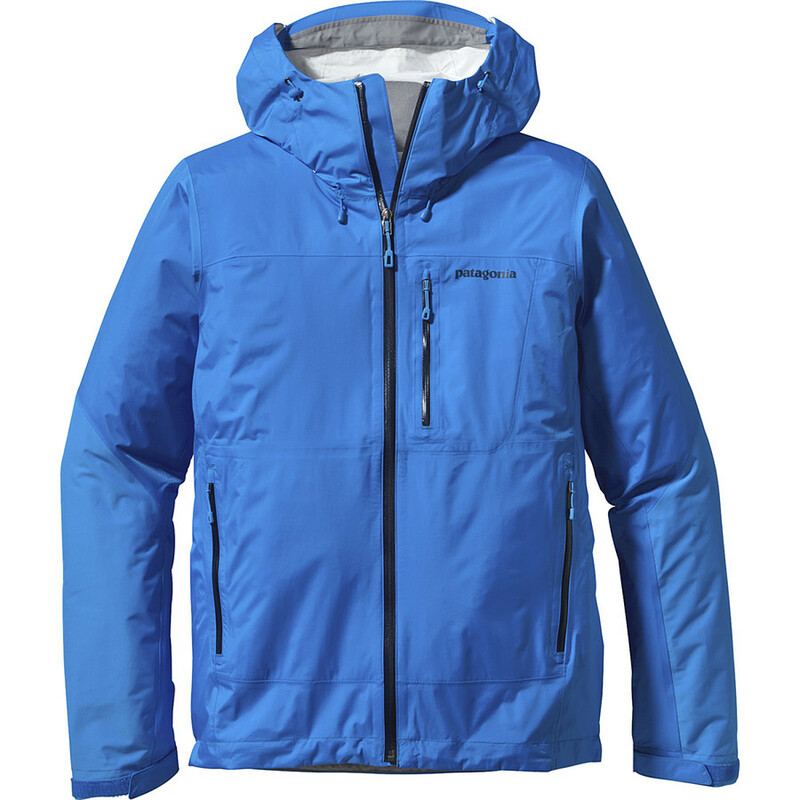 The Patagonia Stretch Rainshadow Jacket has the function and performance you can count on. A 2.5-layer H2No(R) construction ensures water rolls right off and stays out, and since it rains at the most inconvenient times some welted pit vents will keep you cool. 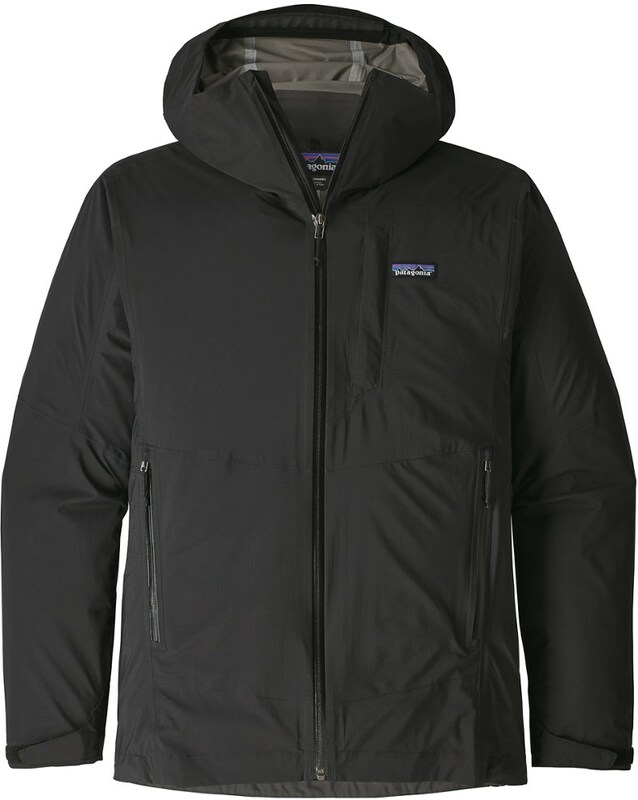 Light weight, with enough pockets for your valuables and snacks, the Patagonia Stretch Rainshadow Jacket is the perfect candidate for excursions where rain is likely. 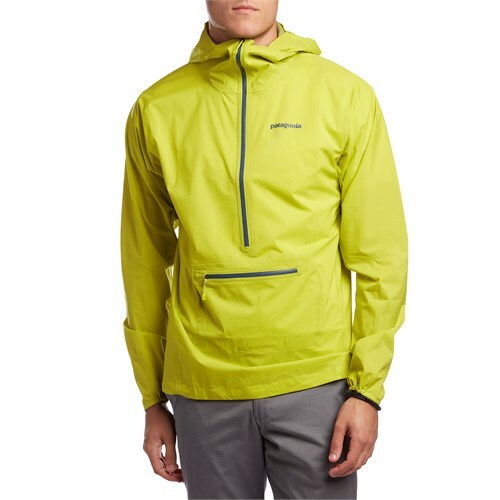 Patagonia Men's Stretch Rainshadow Jacket - Stay dry and keep moving in Patagonia Men's Stretch Rainshadow Jacket. Mild drizzle or epic downpour, this light, stretchy and packable rain protection with a 100% recycled face fabric has all of the essential features needed to stay moving when the weather.